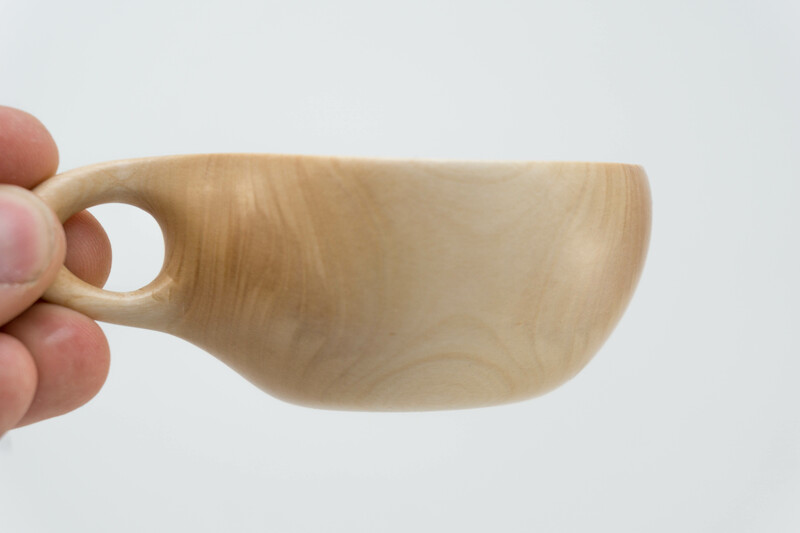 A Kuksa – or Guksi in Finnish, kåsa in Swedish – is a traditional wooden drinking cup. It is usually made out of birch, usually its burl (a bulbous random growth on the tree). They are quite large, and burl is quite difficult to come by and to carve. 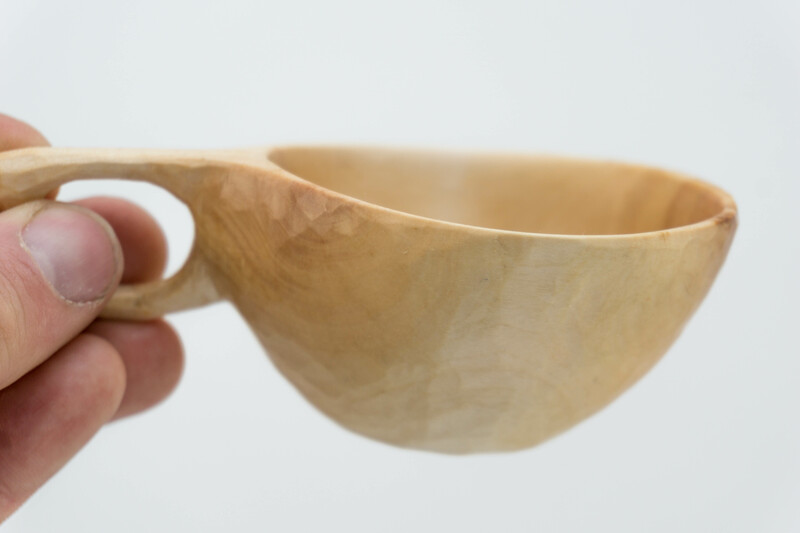 I recently got a nice burl to carve a kuksa from. But I really didn’t want to ruin it because of my lack of experience in carving these things, so I put it in the freezer for now. 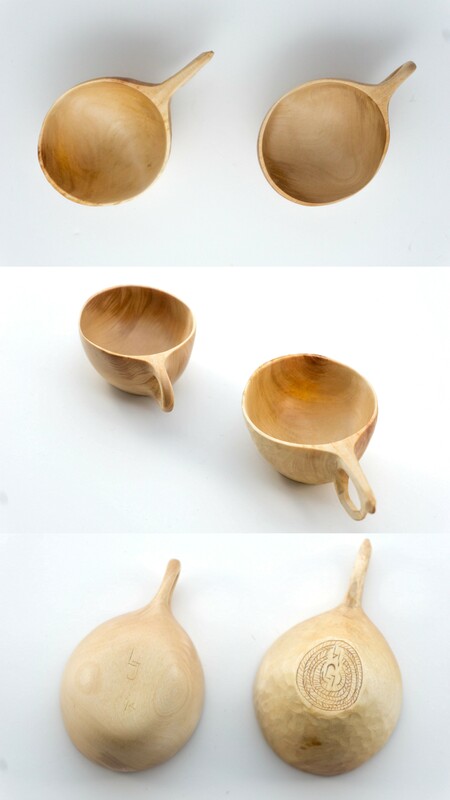 Instead, I took a piece of normal birch to practice on and carved these two smaller, tea kuksa’s. One is sanded and the other one is knife finished. both hold about 130ml, just under the average volume of a cup of tea. I look forward to seeing more of your work as you post. Thanks you for your kind comment. 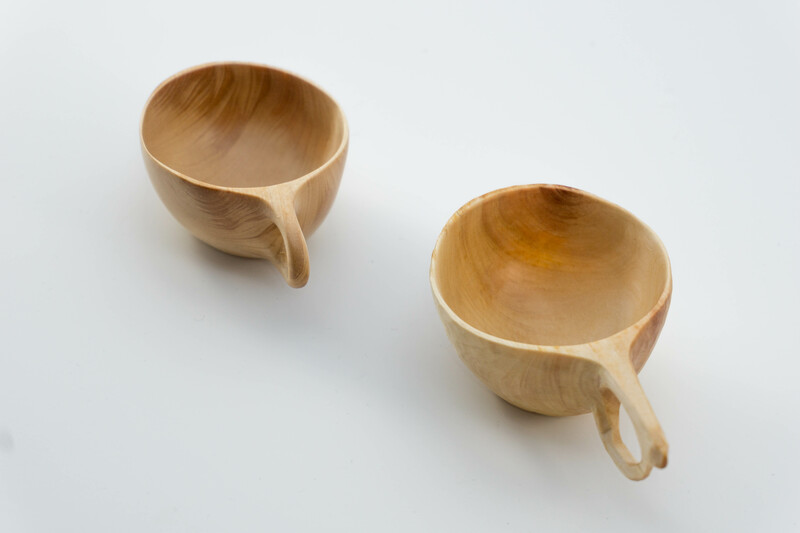 These kuksa’s are actually a year and a half old already. Nowadays I post most of my work on Instagram, so if you’re interested in seeing some of my recent stuff you could look there. You can also see my Instagram feed via this link.